Ahead of MI vs CSK, Mumbai Indians Share Quinton de Kock's Impressive Wicket-Keeping Drill Video; Dhoni Fans Better Watch Out for Him in IPL 2019 Match 15! Mumbai Indians (MI) will take on the defending champions Chennai Super Kings (CSK) in the match no 15 of VIVO Indian Premier League (IPL) 2019. The match will take place at MI home ground Wankhede Stadium, Mumbai. MI is led by Rohit Sharma, while CSK skipper is Mahendra Singh Dhoni. Mumbai team shared impressive wicket-keeping drill video of Quinton de Kock ahead of their clash with CSK which Dhoni fans should watch out for. IPL 2019 Today's Cricket Match: Schedule, Start Time, Points Table, Live Streaming, Live Score of April 03 T20 Game and Highlights of Previous Matches! Men in blue will play their fourth match of this season, out of which they have won only one match. MI lost their previous game against Kings XI Punjab (KXIP) at Mohali where they were unable to defend the target of 176 runs. 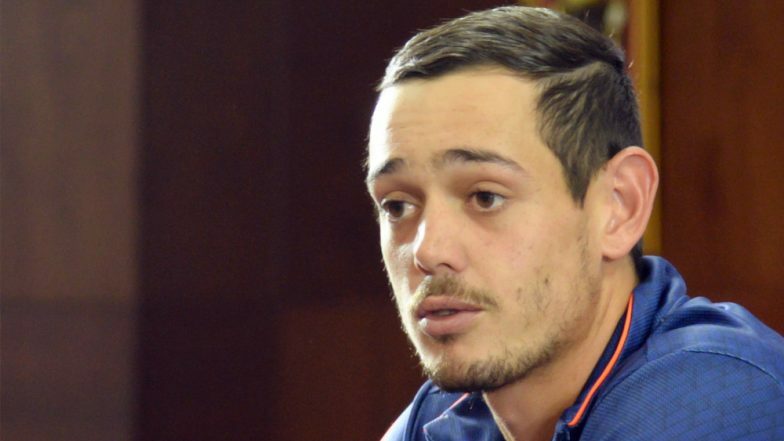 Mumbai Indian wicket-keeper batsman de Kock not only have safe hands behind the stumps, but he knocks the ball well too. He played a blistering knock of 60 runs from 39 balls against KXIP, which included 6 boundaries and two sixes. Mumbai Indians vs Chennai Super Kings Live Cricket Score 15th T20 Match. Mumbai Indians has to work on their middle-order batting woes if they want to win games in coming matches. Hardik Pandya always play a quick cameo in the end, his inning of 31 from 19 balls helped MI post a total of 176 against Punjab. Mumbai team pace bowler Jasprit Bumrahhe always plays a crucial role in MI victory. Speaking about Chennai Super Kings, they have won three matches in a row this season and are yet to face a defeat. The Men in Yellow sits top at the point table with 6 points at a Net Run Rate of 0.51. It will be interesting to see how cool and calm skipper of CSK, MS Dhoni plans strategy against the aggressive unit like Mumbai Indians.